It should be no surprise by now that I'm very critical of Anita Sarkeesian's series. However instead of doing a point-by-point deconstruction of her series (I started out doing that and I might release those at a later time, however I currently have no desire to continue it) I wanted to do something more constructive. A lot of people have done debunkings already and although there's a fair bit of criticism I have that hasn't been addressed yet, instead I'm offering my own opinions on the topic of damsels in distress itself, why they are seemingly so prevalent and how developers can avoid falling into the cliché trap. So while I will occasionally refer to Sarkeesian's videos, rip into some of her points and how I think they clash with my opinions (or with reality), this isn't primarily a rebuttal of her videos. For a history on damsels in distress I recommend thegaminggoose's video on the topic. He does that particular aspect more justice than I presently could. The position I will defend is the following: there is a lack of female video game protagonists which needs to be filled in and damsels in distress are an overused plot device with a lot of room for alternatives (thanks, people mislabelling me as an angry dudebro attempting to uphold the status quo). My problem with the current mainstream feminist narrative on this subject however is that their take consists of unsubstantiated claims at best and is pointlessly alarmist at worst. Furthermore the most outspoken proponent of this position, Anita Sarkeesian, provides us with examples and arguments which fail under even minor criticism and holds her grounds not by defending these arguments, altering her positions to better fit reality or even by acknowledging the existence of outside criticism, but by attempting to gain sympathy from the media and industry by pointing out Internet trolls instead. I argue for better representation of female characters in the media because I have a genuine desire to see better characters I would like in media I love, not because I want to defend some sort of feminist narrative from outside attacks. The goal of feminism should probably not be feminism itself. You will not find me arguing about damsels in distress as an inherently negative plot device for women because as a human rights issue, characters in video games are an incredibly petty issue. Just because a certain plot device is overused does not mean individual games that use that plot device should be chastised for using it. The problem is not with the widespread existence of the plot device but with the substantial lack of alternatives. Furthermore a look into the problem requires a bit of introspection. It is very easy to put the blame on developers, publishers and a supposedly misogynistic society. The hard part however is acknowledging that for there to be a product aimed at an audience, there has to be an audience to catch it. For a product to get mainstream attention it has to be marketable to a mainstream audience. So a bit of that energy that goes into blogposts and videos castigating publishers and developers for certain decisions should go into seeking out and financially supporting the games that do feature the things you like, even if it's not on the cover of every magazine for an entire month. The first thing to understand about the great divide between the two sides in this yet-to-happen debate (and I mean the actual sides. Internet trolling is not a side in a debate) is a fundamental difference in the approach to art which is as old as modern society itself. This is the difference between art as catharsis and art as dangerous if unchecked, which can be traced back through the history of literature all the way to Aristotle and Plato respectively. We purify our emotions and learn about ourselves through perceiving things we have not experienced first-hand versus art's ability to corrupt (often talks of censorship aren't very far behind). In essence this would be the difference in worrying whether Grand Theft Auto teaches people to go out and be criminals versus the idea that acting out this violence on screen cleanses us and actually prevents us from bringing said violence in the world. Personally I am on the side that believes that after a frustrating day, it is preferable to take your day out on digital characters rather than your wife/husband. The point I want to make though is that the difference between these two stances is as old as our society, which probably means there is a difference in perception which causes a fundamental bias when approaching topics such as these which would explain why one side is so vitriolic when engaging the other (Sadly the side of catharsis also seems incompatible with people invested in politics). In Aspects of the Novel (1927), E.M. Forster distinguishes between flat characters and round characters in narratives. I believe that when talking about stories in video games we can extend character flat- or roundness to the entirety of the narrative itself. 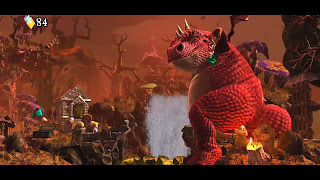 Unlike literature and movies, it is not uncommon for a video game to exist with only the basic skeleton of a story, or even without a story at all (such as puzzle games). For the purpose of identifying the reason why character stereotypes are so prevelant in video games, I believe this to be an important distinction to make. Flat Narrative games are games in which the story is essentially inconsequential and very easy to summarize. They rely on easy to recognize plot devices to immediately let the player know what's going and what has to be done. The story is not important. It is just a basic premise as an excuse for why you are there. Particular for damsels in distress, you have your hero, the damsel in distress and the monster to overcome. There is barely any character or story development beyond these very simple parameters. We find these simplistic narratives in games where gameplay is more important than story, or early games in which technology often did not allow for stories with greater complexity yet. 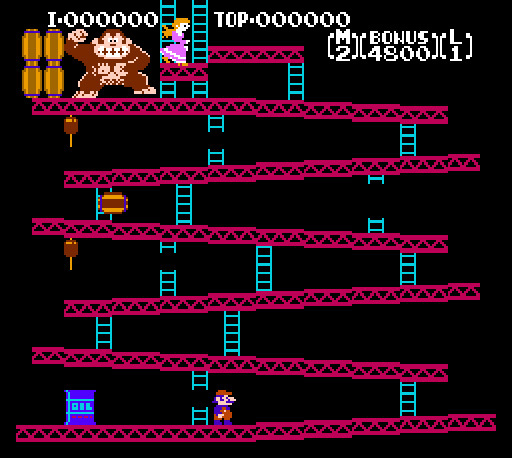 This is the classic premise behind early games such as Super Mario Bros., Donkey Kong or even the interactive movie Dragon's Lair. Now I would like to ask a question: how much money would you pay a writer to come up with the story of Super Mario Bros.? I hope that right about now a red flag has been raised in your head. A lot of these games don't actually have writers. A lot of these games have their start in an attempt to come up with new and cool gameplay mechanics, not telling interesting stories. Is it any wonder then that flat narrative games so easily fall into obvious clichés? The damsel in distress hasn't been written as a weak character, she hasn't been written at all. 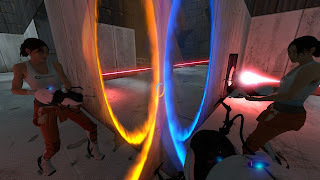 The player character has a bit more flexibility because (s)he, by virtue of being playable, carries an immediate recognition from the player. This is why a fat plumber can be the hero while rescuing a stereotypical princess archetype from a stereotypical dragon archetype. You control him, that automatically makes him the hero archetype. 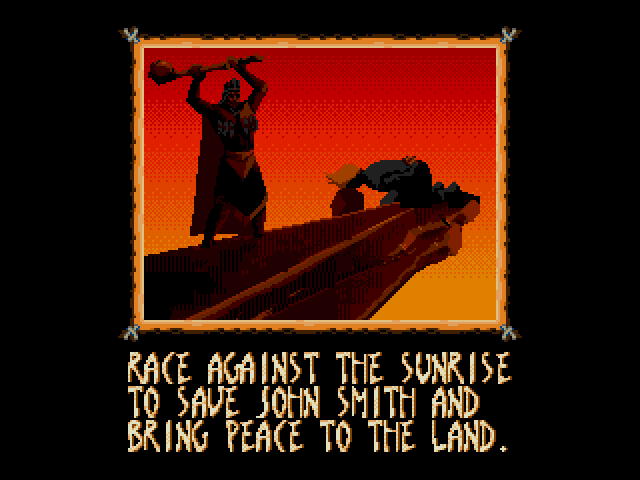 Earlier titles often get around this lack of in-game story by interpreting the events as a narrative in the manual, but the reality remains that the story has to be told in a very straightforward and simple cutscene in the game to get the player into the action as fast as possible. Hence the situation presented has to be instantly recognizable. This is why stereotypes and cliches are so prevalent in indie games. They are by definition working from a very limited budget, so being able to cut out the story aspect entirely is a massive plus for developers who aren't focused on telling a story anyway (The 2009 title And Yet It Moves even managed to make a fantastic video game with minimal focus on graphics and sound). Expecting indie developers to fully flesh out characters could be an unfair and potentially fatal strain to put on them. Furthermore using the indie market as a means to show oversaturation of a particular trope is fairly meaningless anyway. Some indie games get mainstream attention but every kid with a computer can start churning out games fairly easy in this day and age. As such we not only have an incredibly vast ocean of games to pick from, they aren't bound by any sort of standard and conform more than anything else to the adage known as Sturgeon's Revelation "90% of everything is crap". The way to fix the indie market is simply by going in and doing better yourself. A critical difference between the flat narrative and the round narrative is the inclusion of more characters with more complexity and a narrative that goes beyond a basic excuse as to why you are jumping through levels. We still have our damsel in distress, but it is much harder to reduce this role as simply the representative of women in the story. 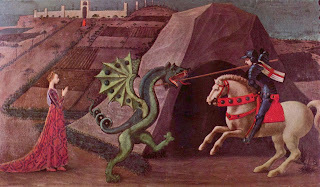 It is no longer a simplistic story where the hero must defeat the dragon in order to save his love interest. Here is where The Legend of Zelda comes in. As technology progressed, so did the complexity of stories in these games. Princess Zelda wasn't merely a girl kidnapped in the beginning of the game, but often an active participant in the story itself. Aside from her we also have a variety of other characters aiding Link in his quest to save Hyrule or whichever land he finds himself in. It is thus overly short-sighted to just take princess Zelda's kidnapping as a problematic aspect for women. Not just because she herself is more capable than most people give her credit for (see The Ordeal of Queen Zelda for more elaboration on that), but also because she is not the only woman we encounter. From Ocarina of Time onward Link is directly aided by an often female companion like Navi (Ocarina of Time), Tatl (Majora's Mask), Midna (Twilight Princess), Fi (Skyward Sword) or even Princess Zelda herself (Spirit Tracks). We find other female characters spread throughout the land of Hyrule, be it Zelda's servant Impa, Link's childhood friend Saria, the often villainous Kotake and Koume or the entirely female Gerudo race. As such the complaints of the occasional kidnapping of princess Zelda as being problematic for the representation of women is more of an issue of not looking beyond the parameters we are searching for. There's a damsel in this game, full stop. This is incredibly simplistic. In Alan Wake, Alan's wife Alice Wake disappears early in the game and her rescue is the motivation behind the rest of the game. The complexity of the narrative however means that our protagonist gets help from and is hindered by a variety of different characters with different personalities. Should the disappearance of Alice Wake really be problematic for the representation of women when characters such as Sheriff Sarah Breaker or Cynthia Weaver are the most competent characters in the game? Furthermore we have the somewhat ditzy Rose Marigold, the mysterious Barbara Jagger and various female background characters with differing personalities. What is the use of singling out the one damsel in distress as representative for all women? There's also the fact that until the sequel happens (and it better happens), Alan himself is a case study in ways a character can be in distress, but I can't get into that without spoiling large portions of the game. It is also possible for a flat narrative to have more complex side stories within the game itself. Super Mario Galaxy for example is merely a simple reworking of Peach's kidnapping on a cosmic scale, but while Mario jumps from galaxy to galaxy we also learn the much more complex story of Rosalina. Rosalina thus becomes a much more developed character than any of the recurring Mario characters despite her story not being all that important to the game itself. Why is a distinction between flat and round narratives important? For the very simple reason that while you can make a very extensive list of games featuring damsels in distress, it should not therefore mean we automatically have a huge problem with female representation in that aspect. 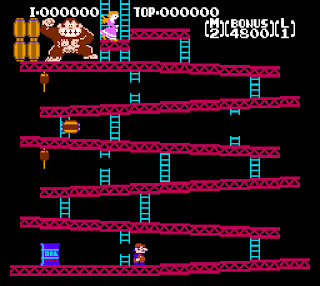 If every game followed the Donkey Kong pattern in which the only female character is helpless, yes, we would have a serious problem with representation. The reality of the situation however is that a very large amount of these games have female characters in a variety of roles. There's no reason to assume that just because the kidnapped person is a woman that the one saving her can't also be a woman or that other vital characters can't be women. Different people have different characteristics. Not all of characters (male or female) are willing or capable of being the hero/heroine of an action game but that doesn't mean none of the other characters in that setting can be. Another elephant in the room are the cultural differences between game developers of different nations. Even though Sarkeesian often mentions how video games don't exist in a vacuum, she totally ignores this blatantly obvious fact and instead pretends Princess Peach getting kidnapped every game is as much a result of western culture as the popularity of Call of Duty is. This is where her egregious mischaracterization of Princess Toadstool being playable in Super Mario Bros. 2 as an accident comes into play (the game it was based on, Doki Doki Panic, had 2 female playable characters). A more reasonable explanation for this "accidental" inclusion lies in the cultural difference between America and Japan, especially in the age before the Internet provided a direct link between cultures. 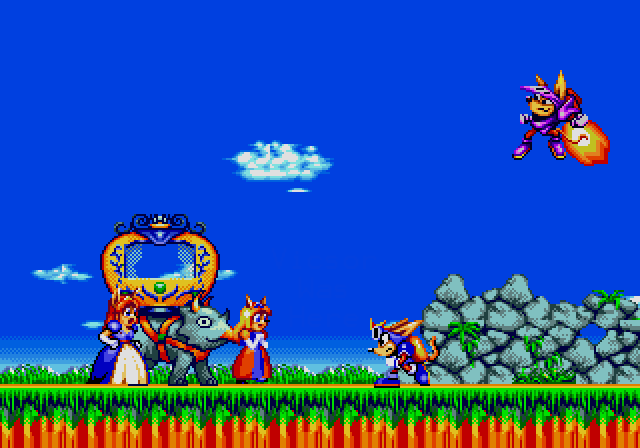 Stories from video games often wildly conflicted between translations, which resulted in infamous differences such as us knowing Sonic's villain as Dr. Robotnik while the Japanese always called him Eggman and our confusion after we learned that fact (which Sonic Adventure solved by having Dr. Ivo Robotnik as his real name and Eggman being his nickname). Let's not forget how American animated series based on Japanese video games portrayed the characters. 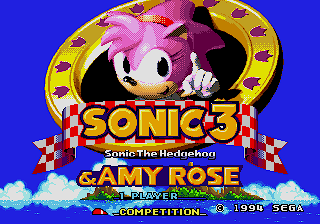 In the Japanese game Sonic CD, Amy Rose was captured by Metal Sonic, in the American Sonic the Hedgehog animated series (popularly called Sonic SatAM) we got the much more competent Sally Acorn fighting alongside Sonic as a Freedom Fighter instead. While Princess Zelda from the game wore pink dresses and was kidnapped by Ganon, the American animated series put her in purple adventuring attire and she was on equal grounds with Link. It is no accident that an American version of a Mario game in that same cultural zeitgeist would produce a game in which the princess is on equal footing with the male characters. It is merely an indicator of the differing sensibilities of different cultures. Taking the worst from different cultures and mashing it all together in one big pile of negativity is not an accurate representation of reality. It should probably also be noted that Amy Rose first became a player character going on her own journeys in Sonic Adventure, the same game which acknowledged the above-mentioned cultural difference in Sonic stories (although she was playable earlier in Sonic the Fighters as a roster character). Perhaps a mere coincidence, but noteworthy anyway. A more recent example of this culture clash would be found in the Metroid franchise. The Metroid Prime trilogy was developed by a western studio for a primarily western audience and was critically acclaimed, then all of a sudden Metroid: Other M was developed under a Japanese studio in an attempt to appeal to a Japanese audience, which in turn resulted in a huge backlash against the game for "character assassination" of protagonist Samus Aran (I myself thought it was at the very least an interesting character study of a woman completely broken by the trauma of her previous missions with competent gameplay beneath it all). We often hear the accusation of video games as a male power fantasy thrown around as something inherently bad (as if male power automatically translates into female submission). My problem with Anita's argument is that this is merely an assertion. How many men did she interview for their thoughts on something like this? As Feminist Frequency, her mission statement is to make feminist theory accessible to mainstream audiences, which she really fails at doing with assertions like this. It should not be my job to research all the literature when her entire job description is supposed to ease me into it. I do not doubt that saving a girl is a fantasy of many men, but for this to be caused by malicious intend or for it having any considerable negative consequences is something that has to be shown rather than asserted because I simply do not buy that. I know there are men who would selflessly save people for far more noble causes. I also know that the desire to save a person you like from danger is appealing for reasons outside of a mere sense of entitlement. There's a significant difference between "If I can save this person, maybe she'll at least talk to me" and "I'll save her to reclaim my property". It is fully possible that Anita Sarkeesian has this desire to identify with the player protagonist and as such assumes everyone is the same. This is not the case. Personally I see my relationship to the player protagonist as a partnership, in which I want to see him or her succeed in the quest. As such I prefer games in which the protagonist is someone I'd be able to befriend rather than a character I could be. In flat narratives, I do not care at all whether there's a damsel at the end of the game or not (in Super Mario 3D Land I somehow even blocked out that Peach was kidnapped again. I had to look it up later if she was kidnapped or not). Any sense of satisfaction comes from being good at the game and beating it, not the male character getting a kiss from the female damsel at the end. The power fantasy is therefore not gendered but a direct result of me being rewarded for my skill with visible progress in the game. In round narratives, if I like the character who is kidnapped my quest is fuelled by a desire to see him or her in safety, which again is not gendered. 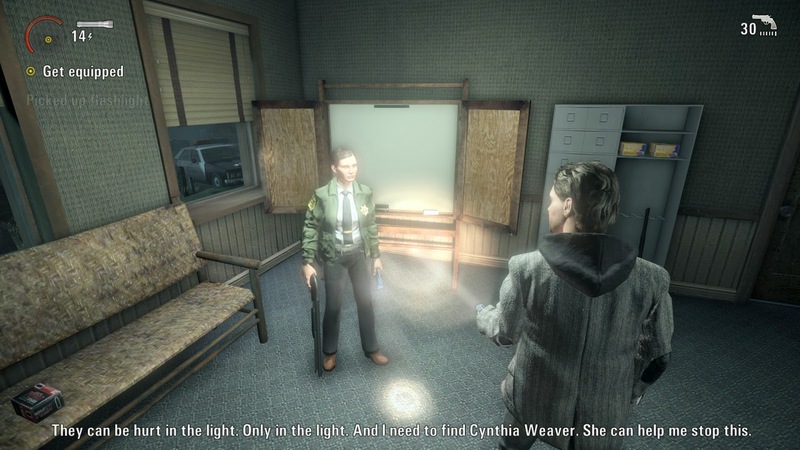 Going back to Alan Wake I felt the same urgency to rescue Barry Wheeler as I did Alice Wake (in case you are wondering, Barry starts out as an incredibly annoying character who you want to see die early on but somehow he ends up being very endearing not long after. His friendship with Alan becomes incredibly heartwarming). I talk about this for completion as I do not see any validity in Anita's claims and I find them an insulting attack on men's emotions. If she wants to link female characters dying for the sake of a (supposedly) male hero to domestic violence, she has to show actual evidence for it or be dismissed. However I will briefly discuss this topic on it simply being a plot device and it being gendered. Comparison is drawn to Gail Simone's Women in Refrigerators list. I will not pretend to speak for her but Simone's point when creating the list was: "if you demolish most of the characters girls like, then girls won't read comics. That's it! ", which is a sentiment I agree with. 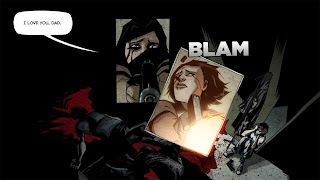 Gail Simone primarily lists superheroines who get killed or depowered, which means we just lost what might be our favourite character in the comic series. The problem when stretching that point to video games is that, unlike these comic book superheroines, these characters dying are rarely interesting main characters in a series. Rather than them being characters we are following on the adventure, the entire point of their characterization is to make it a tragic player punch for them to die. Or to be really out of place with the mood of the rest of the game in Duke Nukem Forever. Anita bringing up Women in Refrigerators would make more sense if she were talking about, say, Krystal from Dinosaur Planet. That would be an instance of a character we were looking forward to be playing as who got shoved in the background in favour of Fox McCloud's story and this would be a genuine grievance. Or if a player character in a series of video games ends up biting the dust, unlikely to return in a sequel, which in Borderlands 2 ironically happens to Ronald but none of the female characters (unless you count Mordecai's bird). Just taking a female character who dies in a less than ceremonious way as a problem is ludicrous. I do not believe a damsel in distress storyline is inherently problematic. I think the real problem lies in the substantial lack of alternatives or derivations within that particular "trope". As such providing a solution for more variety should not simply be wagging your finger at a developer for utilizing one of his writing tools. The solution is giving developers a larger toolset from which to draw ideas from, and if all else fails, maybe do it yourself. People ask: "Why do we need damsels in distress? Why can't we go after treasures/bags of gold/the Holy Grail instead?" Which on the surface seems like a very reasonable alternative, but the problem here is one of morality. Video game character seeking treasure often have the stigma of greed cast over them. They might even go as far as to be the very embodiment of greed. 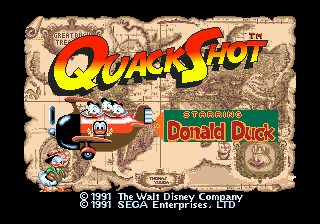 Let's not forget that two of the most famous video game treasure hunters are Wario and Scrooge McDuck. There might be a very obvious reason for this. After all, it is very hard to justify the butchering of hundreds of bad guys for the simple sake of monetary gain (which is Yahtzee's criticism against several Tomb Raider games). On the other hand nobody thinks twice of ending people by the dozens for the safety of just one woman (2005's remake of King Kong has the entire rescue party sacrifice themselves for the sake of just Ann Darrow, which is rather bizarre. The jerk actor who decided it was not worth it was actually being the sensible one). 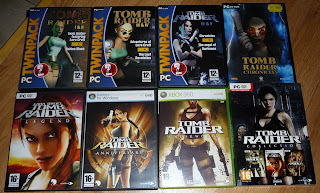 I do not think it is a coincidence how the 2006 to 2008 Tomb Raider reboot trilogy (Tomb Raider Legend, Tomb Raider Anniversary and Tomb Raider Underworld) tried to soften Lara Croft's violent tendencies by having her pity being forced to kill attacking wildlife, reducing the body count and ... having as the trilogy's main story the search for her mother rather than artefacts to collect. The treasure she seeks turn into mere tools she utilizes towards that goal rather than the goal itself or they become typical game collectibles to unlock extra content with. In essence, it is less moral to kill enemies for Thor's hammer than it is to kill enemies with Thor's hammer (yes, induced by a "male died for my character development"-rage, Lara Croft in Tomb Raider Underworld actually rains vengeance upon her enemies as the god of thunder). That's not to say treasure can't be used as character motivation, it just does not have the inherent nobility of saving the nation or saving a loved one, as such they are harder to implement, especially in flat narratives. A way to get around this is by making the setting cartoony. Donald Duck searching for treasure while firing plungers at enemies is not going to turn him into an immoral character. There's also a bit of leeway for games with minimalistic graphics because the on-screen violence is barely represented. The solution provided by Anita herself. The damsel is the protagonist in her own story and rescues herself. The problem with this solution is that it does not in fact subvert audience expectations as Sarkeesian expects. This idea is so much a cliché by itself that there exists an entire genre dedicated to it which we call Survival Horror. This genre is entirely based around characters finding themselves in a distressing situation and attempting escape, be it a zombie-infested city or a haunted house. 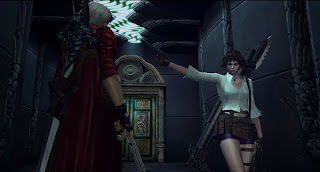 Because this genre does actually have a large female fanbase, there are also a large amount of female protagonists such as Emily Hartwood and Aline Cedrac from the Alone in the Dark series, Rebecca Chambers, Jill Valentine, Ada Wong & Claire Redfield from the Resident Evil franchise, Heather Mason from Silent Hill 3, Zoey & Rochelle from the Left 4 Dead series, Lauren from Slender: The Arrival or the many female protagonists of the Fatal Frame franchise. 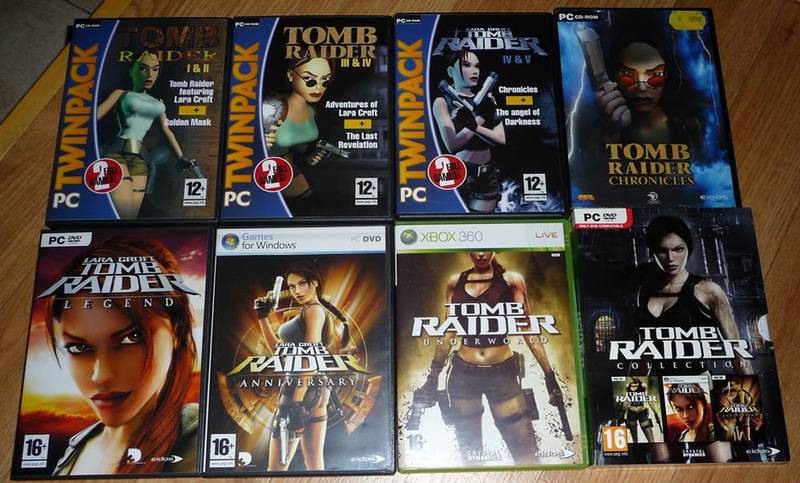 There is a bit of a sad evolution where a couple of these franchises (especially Resident Evil and Alone in the Dark) attempted to reinvent themselves as action games and subsequently shoved the female leads somewhat to the sidelines. 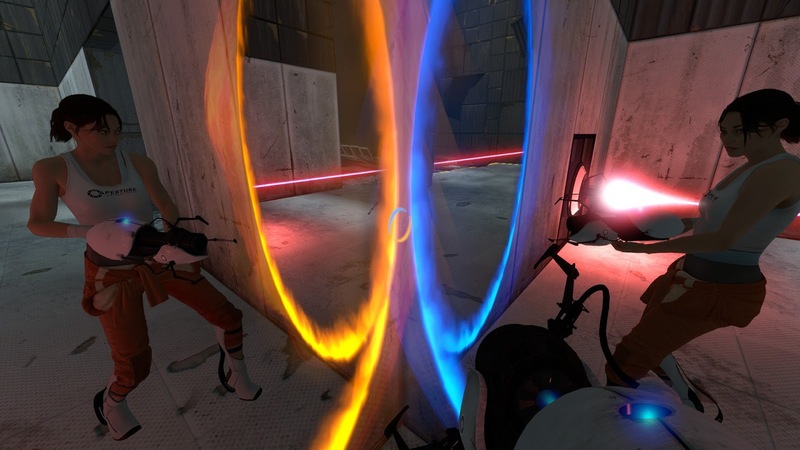 Similarly, although not in a horror setting, both Portal and Portal 2 have Chell trapped in a series of testing facilities by an insane AI. Escaping from the facility is the motivation and goal of both games. Furthermore it is very common for a protagonist of any action, adventure or role-playing game to have to escape a distressing situation at some point in their adventure (If you choose to play a Western RPG as a female, chances are this is exactly how the game starts out as). This alternative would merely be a natural outgrowth of having a narrative with a female protagonist. 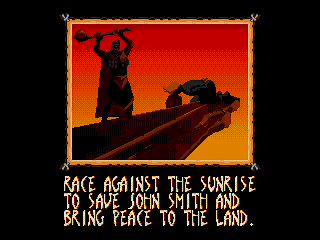 A player character is bound to escape danger and will inevitably help other characters. This of course is also the problem with Anita's argument on male characters escaping on their own. The difference is not between male and female, the difference is between player character and non-player character. Therefore this is not an innovative way to solve anything or grow the industry in any sort of way. The baffling thing about this though is that Anita attempts to get away with presenting a cliché as an innovative concept by dismissing all existing examples of this as "not damsels in distress". She ignores examples of her own solution so she can provide an innovative solution that already exists! 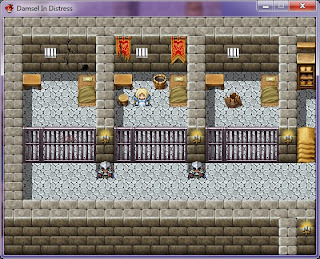 As a side note, on a slow evening not long ago I tested out RPG Maker VX Ace on Steam by throwing together a dungeon scene and putting the female playable character (I defined her as a princess) in one of the cells. 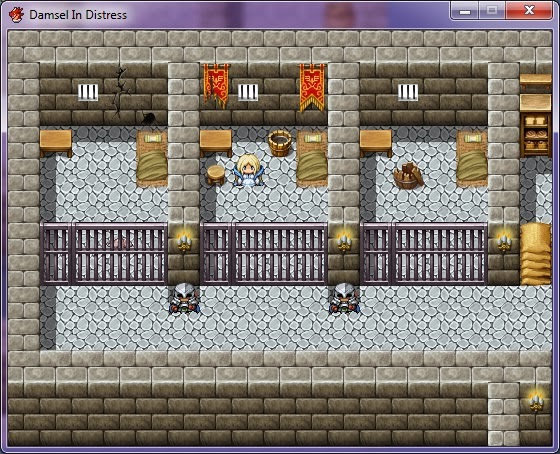 The joke being that you are playing as a damsel in distress who can't escape her prison. I would say that ironically this is a much bigger example of defying audience expectation than Anita's Legend of the Last Princess is. First thing to point out is that Sarkeesian uses the term Dude in Distress deceptively. She counts instances of male, female or gender neutral characters saving any woman as a classic damsel in distress (failing to mention the TimeSplitters 2 maidens are saved by a female jester called Viola, Golden Axe III having Sahra Burn as a playable protagonist or Kelly from Night Trap), characters merely pretending to be damsels for an ulterior motive (Talia Al Ghul in Batman: Arkham City), stretching the definition of what counts as a damsel in distress (such as Angel from Borderlands 2 not actually being one, Jo-Beth Casey from TimeSplitters: Future Perfect apparently counts as a damsel because she's merely a co-op character in a horror setting) or neglecting to mention Maria from Castlevania: Rondo of Blood becomes an entirely capable player character after you save her (which is a common occurrence in Metroidvania-style Castlevania games), but then when it comes to Dudes in Distress she only counts the specific example of a female saving her boyfriend or love interest. What exactly is the point in artificially padding examples when the statistics are already in your favour? 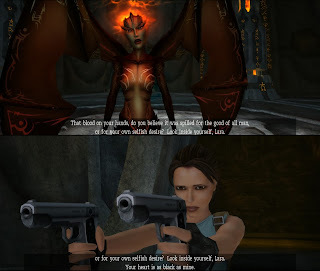 Not only does her analysis ignore females saving other females or male characters saving other males, there are also plenty of examples of women or girls saving brothers, fathers, bosses or other random men (over the course of Perfect Dark, Joanna Dark rescues in order a sapient AI, her boss Daniel Carrington, an alien named Elvis and her co-workers. 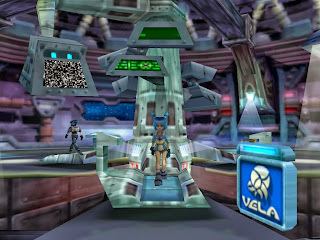 Vela saves entire families of Tribals in Jet Force Gemini). It is true however that the one thing grossly lacking is women saving love interests. Perhaps this is another outgrowth of publishers believing players do not want to see a heterosexual relationship play out on screen while the player controls a female avatar (infamously the case with Remember Me). Even when the male character to save is a potential love interest, the story often puts extra emphasis on their friendship or status as siblings rather than actual love. Examples are Castlevania: Order of Ecclesia and NyxQuest: Kindred Spirits. This emphasis is rarely put on male characters saving a love interest even if the relationship between the two is questionable or undefined. We don't really know the relationship status between Mario and Peach and there's the implication that Link and Zelda are not supposed to be in a relationship beyond friendship at all. One of the few examples I can think of which play this straight is Disney's Pocahontas, in which the titular character does have to save her love interest John Smith, just like in the movie. 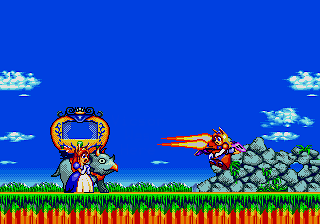 Curiously though, and reinforcing my point, the Sega Mega Drive/Genesis The Little Mermaid tie-in game featured Ariel saving her father Triton with no Prince Eric at all in sight. So Anita misidentified a problem here. The true rarity is female protagonists saving love interests and the industry could grow in this aspect. Developing a heterosexual relationship while playing as the female character should not be a taboo. Having to save male characters is not rare at all and they are in fact so common they border on disposability (anyone even remember the four carpenters locked up in Gerudo Fortress? What about all the Toads Mario has saved? Metal Gear Solid's male plot-important hostages rarely even make it to the end of the game). The real oddity here is that people simply do not seem to register when a male character is depowered but they cry 'damsel' every time a woman is slightly inconvenienced. 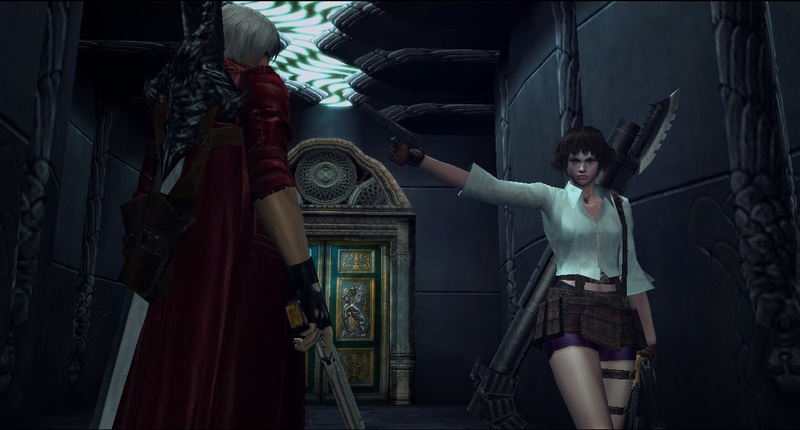 Before I personally added it, the TvTropes page of Devil May Cry 4 did not even mention Nero's status as a Distressed Dude, even though his rescue is Dante's motivation for the entire second half of the game and the switch to Dante as a player character was an integral part of the marketing campaign. 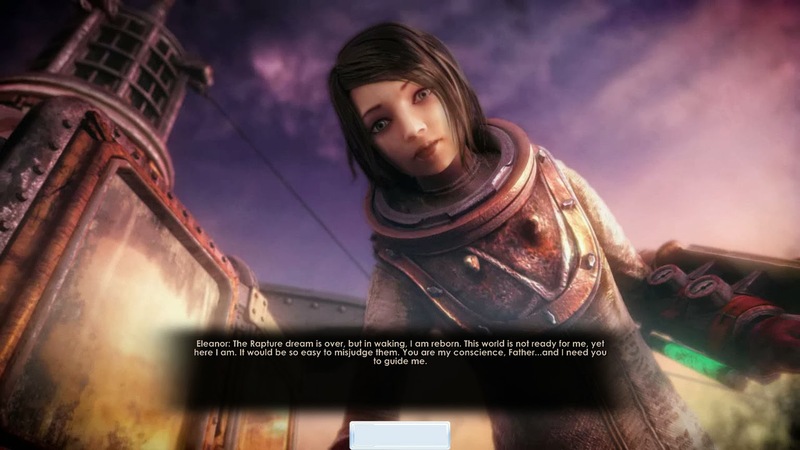 BioShock 2 was seemingly framed as a classic Damsel in Distress story. Delta (the player protagonist) went on a rampage through the ruins of the underwater city Rapture to find Eleanor Lamb, the Little Sister he had been bonded with. A certain urgency was constantly present because of the threat of what Sofia Lamb would do to her daughter (she wasn't exactly mother of the year). Throughout the story we get a certain degree of help from Eleanor but we remain under the impression that she is essentially helpless. That is until we finally get to meet her and she becomes a valuable partner who could be considered the true protagonist of the game. As we wander through Rapture we learn of Eleanor's life through audiologs, locations she visited and characters who knew her earlier in her life. 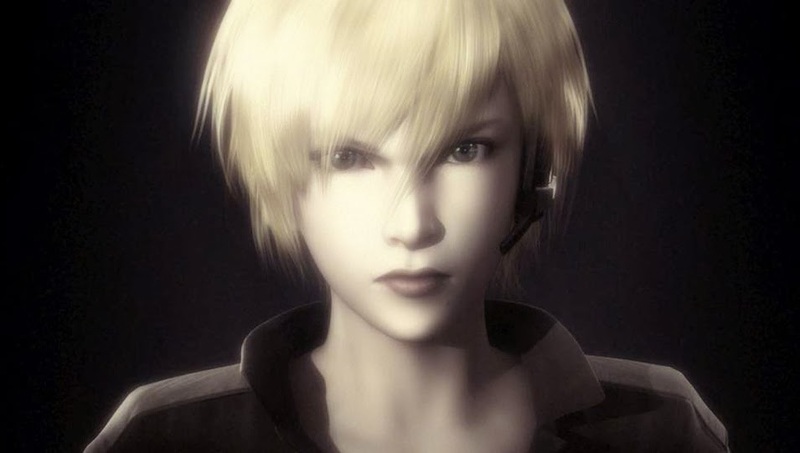 Not only does she become a badass in the final act, all of the moral choices you make throughout the game were for the sake of her character development, not Delta's. 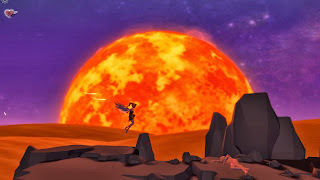 When you replay the game (for the sake of story anyway) you would be doing it to see the effects on her personality and what she learns from the player's actions. Of course not all gaming narratives can incorporate a story on the scale of the BioShock franchise (even if some of them would certainly like to), but the point is that developing your damsel and getting her into some of the action builds a more memorable and respectable character. You can even build proper characterization with damsels who aren't actively trying to escape. Legend of Zelda: Twilight Princess' Zelda is popularly regarded as one of the most badass versions of the titular princesses we've seen so far despite her being a lot more passive than Ocarina of Time's or Wind Waker's Zelda. She simply commands respect through her stoicism and dedication to the greater good rather than her personal safety. It also helps that she's the most involved Zelda ever to face Ganondorf in the final battle. 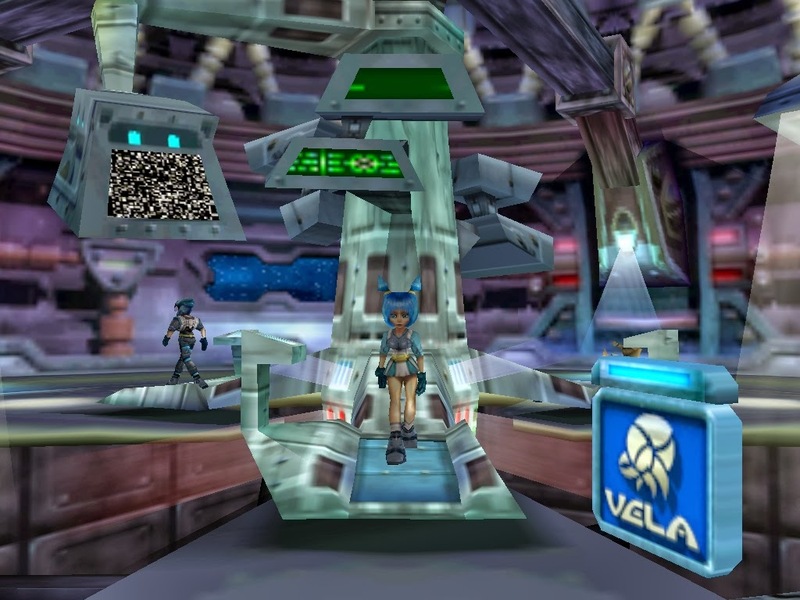 Jet Force Gemini has three playable protagonists: Juno, Vela and Lupus. A boy, a girl and a dog respectively. 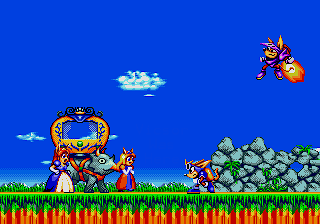 At the start of the game the team has been separated and you look for the others while playing as Juno. In the second level you catch up with Vela who has been captured in an ambush, rendering her as a damsel in distress (and thus becoming relevant to this discussion). Your goal for that level is to rescue her. After you rescue her, Vela becomes a player character. 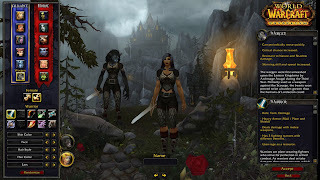 No, not a player character after the game has already been finished, but a player character with her own set of levels to complement the others. You need to play as all three characters and utilize their respective abilities to finish the game (you get a bit of freedom who you want to play as after the first arc in the story has been completed). That's an interesting mix-up, isn't it? Instead of just picking your character at the beginning of the game, you get a set of characters with their own unique contribution to the story. A similar thing happens in Star Wars: Starfighter (2001), which tells the story of Star Wars Episode 1: The Phantom Menace from the perspective of a Naboo pilot and his allies (making it the exact same premise as the wildly different Star Wars: Battle for Naboo (2000)). The female mercenary and player character Vana Sage gets briefly locked up by the pirate and next player character Nym to stop her from causing him any troubles. A bit later all of the characters come together with the Trade Federation as a common enemy. 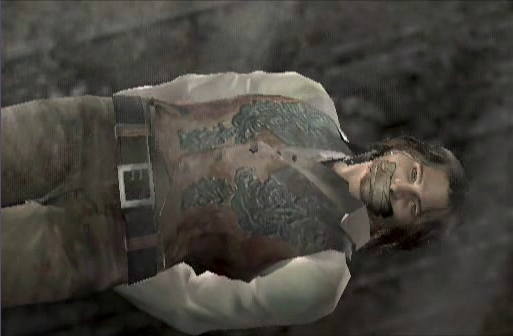 There's a glimpse of this in Resident Evil 4 (2005) but Ashley is only playable for a brief section and not very useful overall. It is a recurring way of recruiting characters in various Japanese RPG's though. This is an interesting alternative because it lengthens the plot with a quest to save a damsel who still ends up as a badass character while it also explains why this badass female hasn't solved all of the game's problems by herself yet by the time we catch up with her. A problem might be that we are forced to play as a character we don't like. What we need right now is more people who step up to create more games with female characters and for us to spend some time and energy searching for the games that do give us what we want. If people make the games we supposedly want to see but we aren't there to support them, nothing of value is achieved. This has to go beyond these token gestures of "oh look what people created to celebrate me" Sarkeesian has recently been indulging herself into, whether actually because of her or not. The past is filled with great examples that are swept under the rug in order to craft a nonsensical narrative of oppression which in turn is used to guilt-trip people into compliance with an ideology, which to me is disgusting and will only cause confusion on the part of developers. Forcing developers to create games that aren't commercially viable is not a solution. Also by focusing so much time and energy on the negative examples you are bleeding free advertisement exclusively to the things you dislike. Candice Shane: Tropes Vs. Women in Video Games: Let's Get Real, Okay? "You will not find me arguing about damsels in distress as an inherently negative plot device for women because as a human rights issue, characters in video games are an incredibly petty issue." Did you know that Amnesty International actually complained about videogame character's rights being violated? At least the spanish branch. I did find something introduced by Eva-Britt Svensson voted on by the EU parliament which seemed to be a stealth-effort to censor video games. Always a joy to read. I look forward to future posts. Thank you for saying this. Especially that Damsels in Distress in video games being fairly petty as far as human rights issues go. And I really like the mention of the cultural differences between America and Japan with regards to the trope and a game's treatment of female characters in general. It's something that I haven't seen brought up very often in criticizing the idea of the trope as being sexist from a Western standpoint. And I especially like the fact that you've brought up the fact that changing a formula that wins, however overused it may be, overnight would probably not sell very well, if at all. But then I have some thoughts from the writing and story-crafting end of the whole works, mostly that over-cautiousness on the part of game developers, who want to make a game that aligns with a given ideology would lead to a narrative that was just as flat as one using a Damsel in Distress storyline, would be more work to play through than fun, and overall wouldn't sell to many people except those who adhere to that ideology, which just isn't profitable. In short, thank you for this entire entry. And thank you for this blog. I think that Blogger has a character limit, and it'd take me a day to make an itemized list of everything I liked here. Yeah, it's one thing to criticize big companies where games are essentially rolled off the assembly line and designed by whatever sells best (although even they occasionally deserve more credit than they get), but when you start chastising what people in their basement put together through hard work and release for the world to enjoy as a human rights issue, I'm going to have a serious problem with it. And yeah, trying to make the world completely politically correct and protected for the kids is rapidly turning the entertainment industry into a boring wasteland of mediocrity. Not only do artists need to be worried about having actual offensive content, but also what might secretly reinforce whatever someone is railing against. Frankly I think this attitude is ironically -exactly- why artists tip toe around attempting new female character roles because someone somewhere will be offended regardless of what they do. The thing is, I doubt that the people who want to turn every form of art or entertainment into a politically correct borefest actually care about children, but about their own oh-so-delicate sensibilities. Every game would be dull nonsense, except the ones obviously trying to push an agenda. Then they'd be boring, pretentious nonsense. But pretentious, barely playable nonsense is what gets passed off as "art" and "progressive" these days (see also: the hoopla over Gone Home), and I blame the mentality that art exists to trick people into learning things, and that it needs to be censored and manipulated to make people learn the "right" things. But then, a little more on the idea of cultural differences, I think that part of the reason it's easy to ignore it is because it's easy to create an "Evils of Western-Meaning-White Culture" narrative, especially now, when, at least in the United States, it's become trendy to feel guilty for being white, and to express that guilt in the most showy way possible. Completely ignoring any other cultural contexts is another way of doing this. It's protracted Western guilt, pure and simple. I don't know what it's like in Europe, but in the United States, it's kind of a trend now, and I don't know why. I was thoroughly impressed not only with the very eloquent prose, but also I think your ideas have a very strong base. You have an excellent grip on video games in general (far greater than anything I could hope for) as well as a good understanding of how real, important change comes about. You are right that waving your finger in the air and expecting corporations to bow to those whims is not nearly as powerful or constructive as simply using the greatest tool that we have: economics. That will send the message much faster than meaningless gestures that don't hold any water (whether they are positive or negative). I also strongly appreciate your more moderate approach to these issues. Too often, I find that people are very much one way or the other without leaving room for some middle ground. To me, this means that you are more likely to find actual problems with whatever the discussion is about rather than cherry-picking the arguments that suit your needs and then claiming there is a disparity. In essence, you are a far superior speaker to Anita Sarkeesian, and when you say something I will take it more seriously than I do when I listen to someone like her. In light of Gamergate, it was nice to read a criticism of Anita that was well-thought out and relied on logic and facts instead of biased opinion and misinformation. Although disagree with you on quite a few points (Other M in particular, and both sides could use a quantitative look at representation, instead of just examples and counterexamples, and your reliance on solely on the economy as opposed to voluntary change, even though economics might be how it has to happen) and agree with Anita on a few things, I applaud you for an excellent feminist deconstruction of video games and the industry with a different thesis and outlook.